APPEX 2013 just wrapped at the Sands Expo and Convention Center in Las Vegas. Durabond and Melling exhibited a holographic projector at their trade show booth. The presentation was seen in 3D with out the need of any special glasses. 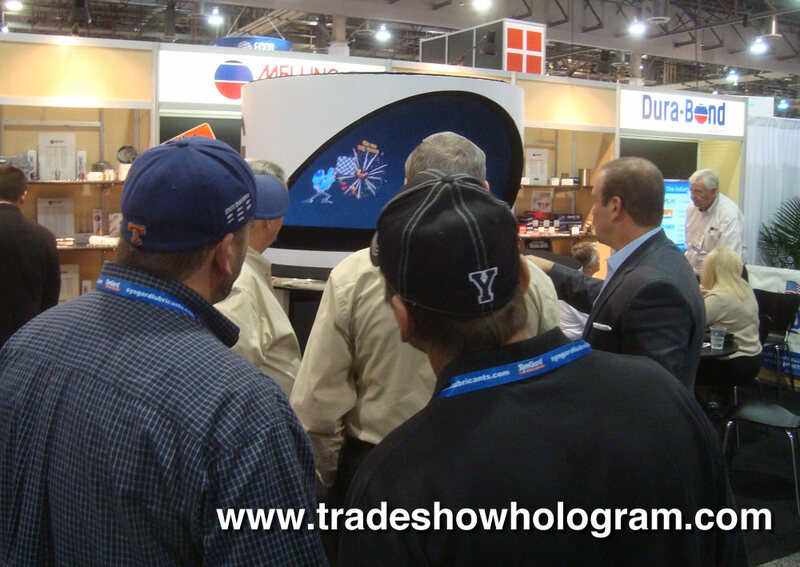 The hologram presented the companies history and product line, much to the delight of show attendees who stopped to have a look at the special attraction. The exhibit was created by Trade Show Holograms, a company who specializes in sales and rentals of 3d hologram projectors across the USA and Canada.